1-part polyurethane adhesive that hardens by humidity or spraying with a fine water mist. Good relationship between open time and press time. LOCTITE UR 7221 is a solvent-free, moisture curing one component adhesive based on polyurethane. Designed for manufacturing of sandwich elements of porous substrates, which contain humidity. The substrates can be bonded to one another or to metals, laminated panels, various plastics, rigid foam made of polystyrene, polyurethane, PVC and others. At room temperature and the required humidity in the joint sufficient strength will be obtained after approximately 2 to 4 hours. 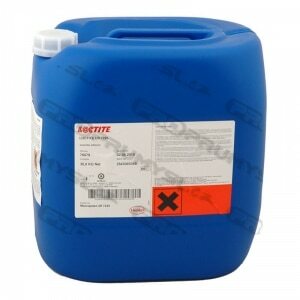 For faster curing LOCTITE UR 7221 can be cured in a heated press. Maximum temperature must not exceed 70°C.